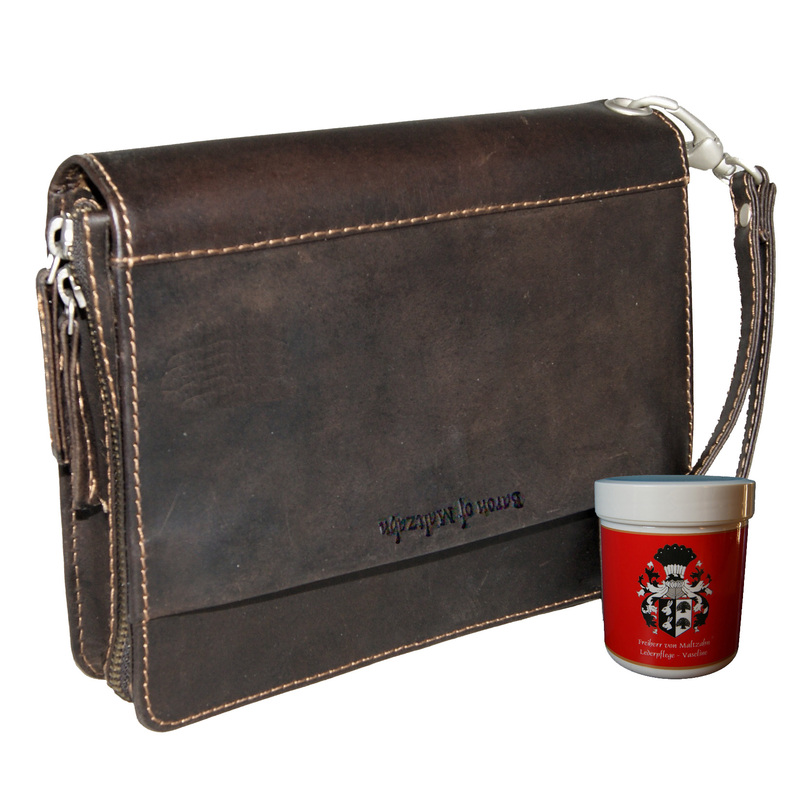 Product information "Men's clutch bag KANT brown buffalo leather"
The BARON of MALTZAHN men’s clutch IMMANUEL KANT made of buffalo leather is the perfect handbag for gentlemen: practical, robust, elegant and still inconspicuous. Are you looking for a case to keep the numerous items you don't want to miss on the go? Wallet, cell phone, napkins, keys or pens – until now, those things were often stored in the pockets of diverse jackets, shirts and pants. Women can only shake their head regarding this habit and would never leave the house without their handbag. The men’s clutch KANT is not only a practical storing purse, but also a stylish accessory which more and more men discover for themselves. The wristlet KANT radiates timeless elegance and masculine robustness. It is the perfect accessory for men. 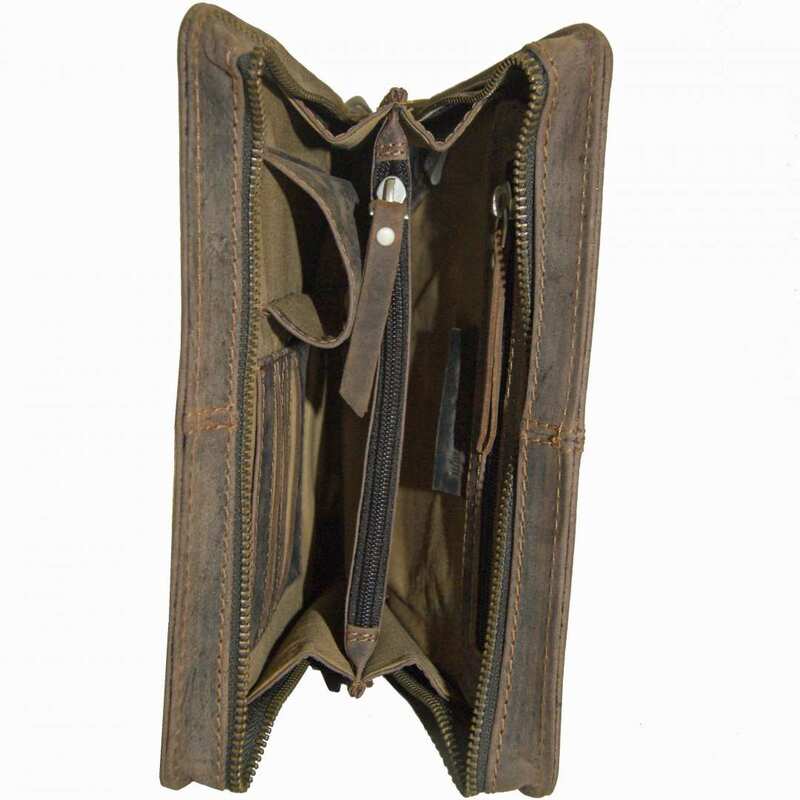 The leather wristlet KANT is produced by hand under usage of genuine leather hides. Its high value appearance is inimitable and unique. The leather has been tanned following a special procedure and this way, the natural properties of the leather remain visible. The slight colour alterations and texturing of the leather are intended and provide the individuality of your bag. The contrasting seams support the clear form of the wristlet KANT made of buffalo leather. It impresses without further details, which is essential for those who attach importance to classical elegance. 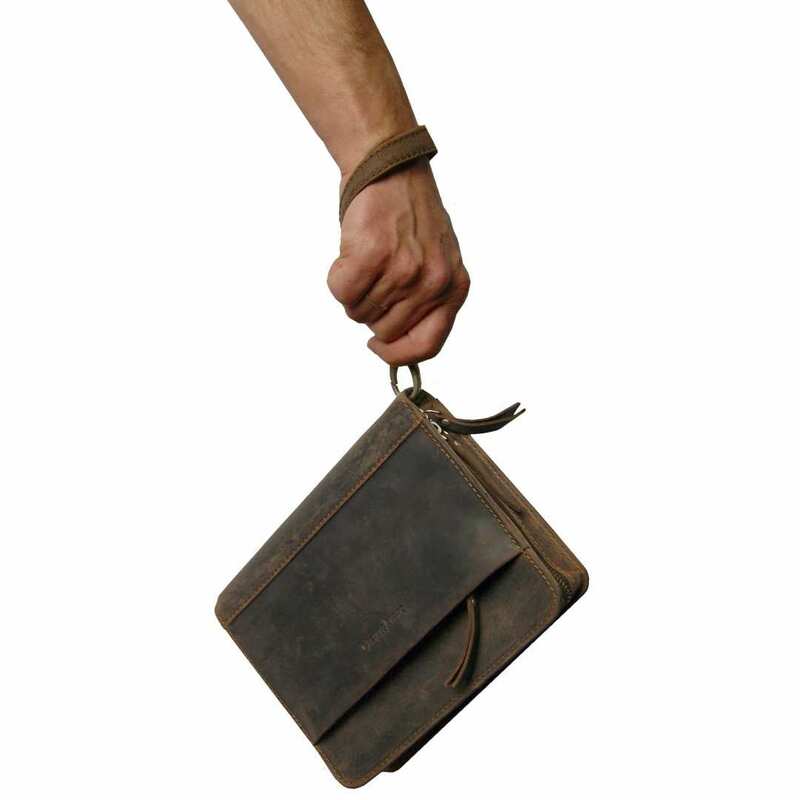 The total dimensions of the men’s clutch KANT are 9.1 x 7.5 x 2.0 in (23x19x5 cm). It consists of two big inner compartments and two zippered pockets on the inside plus a cell phone pocket and four visit card slots. Another zippered pocket is situated outside, on the back of the wristlet. This handy case can be described as pleasant, slight and elegant. 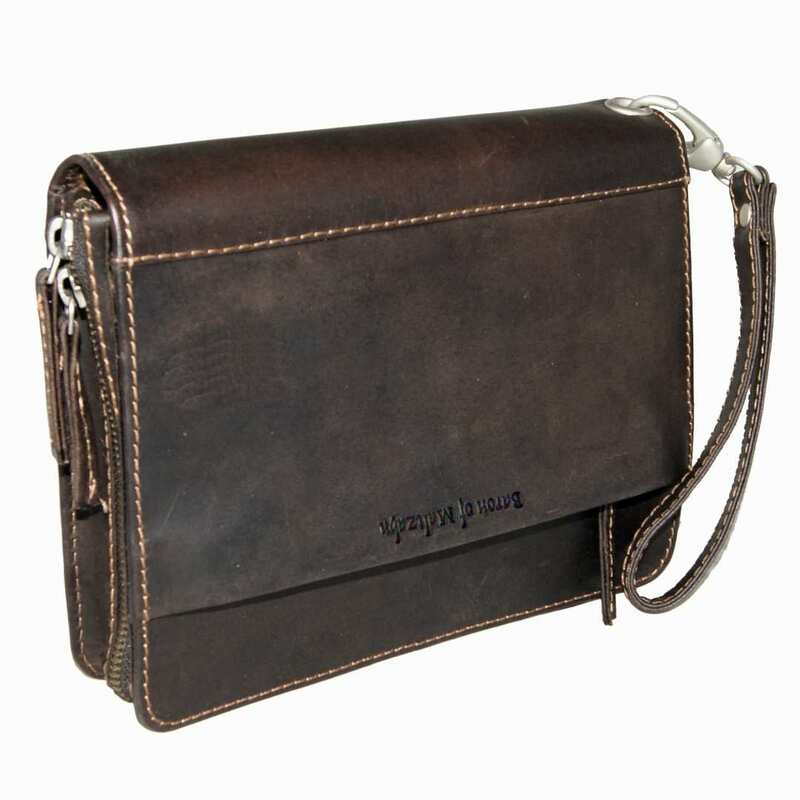 Reviews for "Men's clutch bag KANT brown buffalo leather"